– The rate are subject to availability and our standard terms & conditions apply. Vineyard Car Hire Cape Town is a well-established, reputable and independently owned car hire company operating from offices in Kenilworth, at the heart of the popular Cape Town Southern Suburbs for almost 40 years. Our efficient and well-trained staff provide a service founded on long-standing professionalism and integrity, and our simple, competitive rate structure for car rentals guarantees that the rate quoted is the rate charged. There are no hidden costs! I would like to mention that I have hired cars twice this year from your company via my insurance and both times the service and friendliness by your staff has been outstanding. It was an absolute pleasure to deal with everyone and I will definitely highly recommend you in future. Was such a great experience with Vineyard Car Hire. Looking forward to hiring from you again. Thanks Anthony – great hiring from you as always. Excellent service, as before, from Vineyard.I intend to request one again from Vineyard on our next visit. Many thanks for this and the awesome service! Many thanks for the great service received during my recent car hire from Vineyard Car Hire. I shall spread the word about this good service and will definitely bear you in mind when next I need to hire a vehicle. Thank you very much for the excellent service. I was very happy with the car and the service. Anthony, I would just like to say how efficent and professional everyone at Vineyard has been with this hire. The car was exactly what I needed and the pick up and return process was effortless on my part. Thanks very much. The efficiency of Vineyard Motors is much appreciated. Very pleasant to do business with you. The car was excellent, even in the very heavy rain en route back. Thank you once again for excellent service and really appreciated the way you, Joyce, dealt with us following the loss of our dear mother. Thank You very much for your great and quick service! Many thanks Anthony, Its always a great experience dealing with Vineyard Car hire. 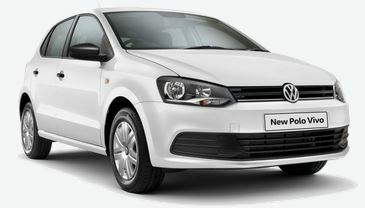 I would like to thank you and your staff for the very efficient way you deal with your customers.I was so impressed with being met at the Airport in CT three weeks ago, escorted to the car, and shown over the car which was spotless.In addition your help and explication with the R7,000 deposit on hold in our a/c in Perth was much appreciated.I will certainly recommend you to friends and hope your business continues to thrive. With kind regards, Louise van Selm. Thank you for the invoice.Yes we had a great time in Cape Town.We will stay at the Vineyard and use your company again,the next time we visit. Thank you. I was very happy with the little car and her fuel efficiency as well as your company’s service. It was truly excellent and so on time I could set my watch to it.Will certainly recommend you and your company and will certainly let you know should we have any need of rental services. The car was brilliant thank you..appreciate your excellent service. A big THANK-YOU to you and your team for organising the vehicles for me.The clients were very happy with them and commented on the efficient service and clean vehicles ! Great service from you guys. Thanks so much for the amazing car – it was a perfect runaround! Also just wanted to mention that the guy who met me at the airport ( I forget his name) was super helpful, friendly and efficient! It was a lovely way to be greeted in Cape Town. Thanks very much Anthony. Appreciate the helpful and friendly service. The car was fantastic and went beautifully. I think I have converted Daniel to the joys of an automatic! We hope to see you again if and when we get back to CT. The service and car hire was excellent! You really saved us in a difficult situation! Our stay in Cape Town was great and so was the vehicle. All went very smoothly as always. Very grateful and for the hotel information! The service from Vineyard Car Hire was great, thank you. Once more I have the had the pleasure of being driven around in your modest little car all over the Cape Peninsula. As usual, your service went along like clockwork. To next year, roughly the same time and place. Thank you for the excellent service that we received from yourselves; we will definitely use you again. Thank you, the car was great and the service excellent as ever. I enjoyed my stay and driving the vehicle. I’ll certainly make use of your services in future. Car and overall service was great, will definitely consider again next time. The vehicle was great and it was a pleasure dealing with you guys. We’ll be in contact again for our future holiday transportation needs. We had an excellent time in Hout Bay and the Cape Town area. We were impressed with the hire car and would not hesitate to use you on a future occasion. I can highly recommend your service, Joyce in the office is a star. The Gentleman that met me was kind and courteous and we went over the scratches and he pointed out the small things that didn’t affect the car`s driving. I have started to recommend all my clients to use your service. (I hope I will still be able to get a car)!! Had a great time in the Cape. The car satisfied all our needs and we gladly recommend Vineyard to friends and family. Many thanks indeed. I was more than happy with the vehicle and the service I have received from Vineyard. I am looking forward to another rental with you in future. Thank you for the service you and your colleagues provided. The car was excellent, clean and delivered on time. Next time I am in Cape Town I will be in touch with you for car hire. Thank you – I’ve been singing your praises far and wide and saying that your business is the one to go to for car hire in Cape Town. That you stayed until 5.30 waiting for me after I had had a crazy day in which everything went wrong – you were the only ones who went right – well you saved me coming all the way back today (yesterday I had a full day at an expo in Grabouw and wouldn’t have been able to make it). So that’s four hours of driving I’ve been spared today thanks to you. Thank you very much Anthony. Your service is great. Special mention must be made of Shane who mets us at the airport. He is always so very helpful. Thank you very much for the quick service and delivery of the vehicle. ” What? They deliver the car to you?? !! It needs to be your new marketing tool -a catch phrase like “ We Deliver !” I will definitely be recommending Vineyard to everyone I know and definitely using you again myself. Thank you very much. We definitely will use you in the future. Your staff are very professional and friendly. Their communication and people skills are excellent. Once again thank you and to your staff. It was great working with you guys! I’ll definitely use you again. I must compliment your company on the service we received. We will certainly use your company again in the future. Once again thank you for the friendly service. Thanks very much for the excellent service once again. As always a delight to have your service. I was most impressed by the very efficient and professional service I received from everyone I had dealings with. I might have mentioned that we have been dealing with another car hire company via our insurance after my wife had an accident with her car. Our experience with them has unfortunately been very different – so kudos to you guys – it is such a pleasure to deal with a professional outfit who clearly deliver in terms of service excellence. Thanks for the swift service. The vehicles certainly suited our requirements. Thank you for the excellent service, will use Vineyards Car Hire again. Thank you again, everything was perfect as always. We had a tremendous few days which were very hectic and I am now back in Melbourne and probably need a holiday to catch up. Your service and the car was fantastic. I loved driving it. Just had to try and get used to Cape Town drivers again. Thanks very much and I will spread the word on this side. The service and car were excellent! As always it has been a pleasure dealing with you. I am relieved you were able to fix up that mark on the car. We were incredibly impressed with the professional and efficient service your company provided us. Additionally the vehicle was in A1 condition and suited our needs precisely. We will certainly recommend your company to others and on Trip Advisor. Just wanted to drop you a line to say thank you so much for your assistance with my bookings, especially with all the back and forth! It is always a real pleasure to deal with you and we enjoy getting a hand over and hand back with your colleague Shane who is always so professional and efficient. Thanks once again and we look forward to our next trip. Hi Anthony, just a note to compliment Vineyard Car Hire once again. Your service is superb, your cars always in excellent condition and your staff always so friendly and accommodating. I’ve even given up getting quotes from other car hire companies. Wonderful holiday – made possible by hiring your car. I have used Vineyard a number of times when visiting SA, and will keep doing so. Many thanks. We were very happy with the car and the service. We had indeed a very pleasant stay in Cape Town and hope to be back soon. Thank you for great service and it was a super car that really suited our needs. We certainly recommend Vineyard Car Hire for all car hire requirements and use your services again. We had an amazing time in SA and having a lovely reliable car made the stay even more pleasant. We hope to return again one day and I will definitely use Vineyard Car Hire on the next trip! Thank you, the service was actually from the top drawer! Many thanks, and I shall certainly recommend your company to any of our friends who might visit South Africa. We enjoyed being back in Cape Town very much and the service we received from Vineyard was fantastic, as usual. We won’t have any hesitation in using you again on our next visit. The service from Vineyard Car Hire is quite exceptional – and much appreciated. I would have no hesitation in using your service again or in recommending you to family and friends. Thank you for the friendly and efficient service. We certainly will use you again and recommend you to our friends. We were very happy with the car your provided and dropping us into the Cape Town Convention Centre. We will recommend your company to any friends we have visiting Cape Town, or when we return. It was a very nice experience dealing with your company and when we return next year we will definitely use your services again. Thank you again for the wonderful, professional and friendly service your company offered us. On arrival and departure, everything ran smooth. My greatest thanks to Alroy, a very happy and good gentleman. I will recommend your company to my friends and family and will use you again. Thank you so very much for sending through all those documents as requested. We really appreciate the promptness with which we received them and the great service we always receive from Vineyard Car Hire. Thank you again. The vehicle suited our requirements and was delivered perfect on time! We had a very good hire and will use you again. The vehicle suited perfectly our requirements and your service has been highly appreciated, especially the possibility to take et return the car on our accommodation’s places. I would like to thank you all for providing us with a faultless, value for money, car hire service which allowed us to reach all the places which are difficult to access using public transport. It was lovely to meet you all and we look forward to seeing you again towards the end of this year. The vehicle provided was perfect, and we had no issues or problems. As always your service has been excellent. Thanks very much for a great service. The car was in perfect working order, and Etienne was charming and efficient when we collected the car. I will definitely be contacting Vineyard Car Hire the next time we are in the Cape (though sadly I don’t know when that will be!). Thank you. Very good stay, everything went well, and the car did it’s job :-). For the record, I think you guys are great, your service is efficient and courteous. Hiring a car from you is a pleasure !! Etienne was there to meet me show me how everything works and advise of dropping off procedures. I must comment on how helpful, courteous and really really nice he was! (Too many people don’t bother to actually write down and mail the compliments!!). He is a credit to your company! I will certainly recommend you to all of my Brit friends when they plan to travel to Cape Town. We were very pleased with the choice of car, it drove well and was comfortable. Had no problems what so ever and we will be glad to use your services again on our next visit. Thanking you for the competent and pleasant service. I have been very happy with your service and the car and will definitely recommend Vineyard Car Hire as well as use you again if need be. I was delighted to recommend Vineyard Car Hire as our experience was excellent. We had a wonderful time in Cape Town (Thanks to your car). When we return to Cape Town in the future we will definitely consider using your car hire firm again. Thank you very much for the service it was a pleasure,everything is in order. Just to say a big thank you to you and all the team at Vineyard. We were very happy with everything. We are back in the USA and we do miss the Cape! Thank you for the Avanza we got from you and thank you for the tax invoice. Our Cape Town was “made” by the Avanza! Thank you for your friendly assistance, it was a good experience hiring the car from Vineyard. We had a wonderful stay in CapeTown and were very happy with the vehicle and your service. Whenever we come to the Cape again we will gladly make use of Vineyard Care Hire again. Thanks for the quick and easy delivery at the airport, and the nice new car (with definitely big enough boot). Very happy with it. And Alroy is a star, he’s friendly and professional, it’s a pleasure to deal with him. We had the most pleasurable stay in Cape Town thank you and are already booked to come out again next year. If all goes according to plan I shall be in touch with Vineyard Car Hire again. We were very satisfied with the car and the excellent service of Vineyard Car Hire. We were very impressed with your car hire service. Your staff were extremely professional and efficient. We will hire from you again when we return next year. As always your company were courteous and helpful; the vehicle was excellent for our travels in the Cape. We hope to return later this year. This was the first rental I had made with you and I must say I was most impressed by the attention I received, from your friendly and efficient representative who greeted me at the airport on arrival, the pristine low mileage vehicle which met my needs perfectly, the simplicity of the return procedure, and the clear and efficient invoicing. I have already recommended your company to friends and look forward to renting from you again on my next visit to Cape Town. Thank you and Vineyard Car Hire for accomodating me at such short notice. Very happy with the service I received from everyone and will definitely use your organisation in future. Such great service – I will definitely be using Vineyard again. Thanks for the car, which was faultless and very good performer. Won’t hesitate to recommend your services to friends. Great hire, nice car. Great to be able to drop off so easily. See you in three years time. Thank you for the excellent service delivered for the second time during my visit in Cape Town. We will definitely return to your company as clients. We were indeed very happy with the car and client service received, and will definitely use Vineyard again in future. The car was perfect for our requirements and the service that was provided by Stuart was fantastic. He was very helpful and everything ran smoothly. We will certainly be using Vineyard Car Hire on our next trip to beautiful Cape Town. Many thanks indeed! Your service has been great. I would like to record my sincere appreciation of the service we received from Vineyard. From the first phone call to Joyce enquiring about car hire to the last minute mad rush to get me to the airport on time, the service was wonderful. Stuart who met us at the airport was also so polite and helpful. To the extremely pleasant and helpful young man who expertly managed to get me to the airport on time to catch my flight by the skin of my teeth (apologies but I cannot remember his name as I was so stressed out at the time) a special and sincere thank you. I will certainly be using Vineyard on my next trip to Cape Town! Thank you Anthony, another great stress free hire for us, we have now had 6 from you since 2009 and never use anybody else! Thanks also to Joyce who was very flexible on 1/1. See you next time we are in the Cape!!! Just a quick note to say many thanks for arranging all this, we were hugely impressed with the service throughout. right down to me leaving my iphone in the car and the guys driving back to the airport to giving it back to me! Great service and customer relationship. Well received and thank you for the excellent service as always. Shane is a highlight to start our visits off the right way. We had to hire a car in Durban from ***** and the difference between your service and theirs was huge! Friendly + professional. Will definitely use Vineyard again! We had a wonderful time thanks and the car was great! Thanks for everything. Many thanks for the smooth collection / drop-off of the hired vehicle. We appreciate all your efforts in getting us a car on such short notice. I would like to say thank you for your professional service. It was a pleasure to do business with you. Will definitely recommend your company to people. Thanks Anthony, and especial thanks to Joyce for handling the booking so well and to young Dylan for an excellent handover – car perfect for me too! Our commitment to providing service excellence ensures that our vehicles are always delivered and collected on time. We provide a highly personal service with effortless channels of communication, allowing clientele to easily interact with one of our dedicated staff members. Our simple, competitive rate structure guarantees that the rate quoted is the rate charged. There are no hidden costs. Our value-added service includes free delivery and collection as well as a ‘meet and greet’ service at the airport (no queues on arrival) and the option of zero excess. Our 24/7 roadside assistance offers peace of mind during your car hire. Being an independently owned company affords us the ability to be flexible and create tailor-made quotes from run-around to luxury vehicles, depending on our customers’ needs. Our range of reputable, new and high-quality vehicles ensures a superior product is provided to our customers. All drivers must be in possession of a valid unendorsed driver's licence which must have been valid for a minimum of two years. International driver's licences must be translated into English. All drivers will be required to produce a valid form of identification such as an Identification Book or Passport. The hirer may nominate up to three (3) additional drivers. There is no additional charge for the first two nominated drivers (the hirer included), however, there is a once-off fee of R300 per driver thereafter. Please note: The hirer is liable for all risks/charges applicable to usage of the vehicle by any nominated additional driver. Payment is by embossed (raised digits) credit card only. Vineyard Car hire accepts all major credit cards including Visa, MasterCard, Amex and Diners but regrettably cannot accept debit cards, cheques or cash. The credit card holder must be the hirer and the credit card is not transferable. The hirer must be present with his/her credit card on their possession when signing the Rental Agreement. In the event that the credit card is due to expire during the course of the hire, the new credit card (with new expiry date) must be presented at the beginning of the hire. The payment process is as follows: we will obtain an authorisation on the hirer’s credit card as security 24 hours prior to the beginning of the rental for the excess amount (based on the standard cover waiver option of the vehicle selected) regardless of whether super cover is selected or not. Please note that this is not a debit - the actual debit to the credit card will only be done after the termination of the rental and the authorisation will subsequently be cancelled. Delivery or collection within the Cape Peninsula (see map) is free of charge for a minimum hire period 3 days and within regular office hours. Any delivery and collection that does not take place within the specified area nor within regular office hours must be negotiated between Vineyard Car Hire and the hirer and the delivery/collection fee will be as stipulated by Vineyard Car Hire. Delivery to the airport is free of charge between the hours of 07h00 and 19h00. The hirer will be charged an "out-of-hours" fee of R275.00 for any delivery to the airport between 19h00 and 07h00. The hirer will be charged an "out-of-hours" fee of R200.00 for any delivery to the airport on a Saturday or Sunday between 13h00 and 19h00. The hirer will be charged R200.00 if the vehicle is to be collected from the airport at the end of the hire period. In the event that the vehicle is returned to a city/town other than Cape Town, a one-way drop-off fee will be charged. Please note that the return city/town must be agreed to by Vineyard Car Hire. A checklist is a document listing any existing damage to the vehicle at the beginning of the hire period. Vineyard Car Hire will present a checklist to the hirer when handing over the vehicle. Once both parties are satisfied that the checklist is correct, the checklist will be signed by both parties. In the event of loss or damage to the vehicle incurred during the lease period, a repair or replacement fee will be charged to the hirer or driver. All rates quoted include Standard Cover plus an Excess (payable by the hirer in the event of any accident or theft). The Excess amount is the hirer's maximum liability in the event of an accident or theft. The hirer has the option to select Super Cover at an additional cost which will either reduce or waiver the excess amount. Any breach of the Terms and Conditions will result in all form of cover being considered null and void and the hirer will be responsible for the full value of the loss or damage. Vineyard Car Hire does not offer Personal Accident Insurance (PAI). No vehicles may cross the South African border into another country. Petrol: All rates include maintenance and oil but petrol is not included. Vehicles are supplied with a full tank of petrol at the start of the hire, and on termination of the hire, the vehicle will be filled with petrol at the rate as regulated by the South African government and the amount added to the final account.